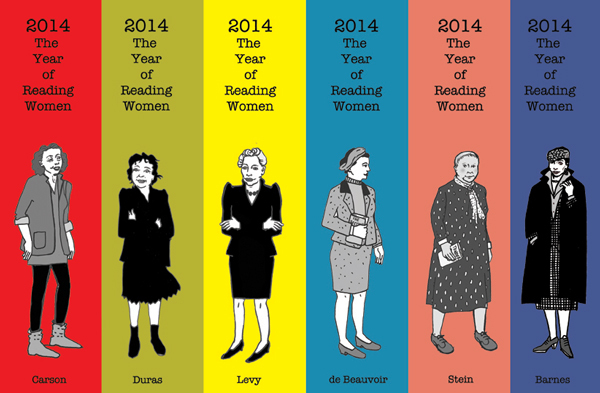 For those of you not familiar with it, #readwomen2014 is a campaign started on twitter by writer Joanna Walsh intended to get people reading more books by women. The concept of the campaign is a simple one, female writers don’t get the same critical attention as male. That’s odd, women read more than men (proportionally and in aggregate) and they get published in much the same numbers. So if women are published equally and women read more, why are they reviewed less? Part of the answer seems to be that a disproportionate number of professional critics are men, and men famously are much less likely to read books by women than women are books by men (which is both bizarre and frankly depressing). Another part is marketing and perception.Women’s fiction is often given “girly” covers with pastels and sometimes cute taglines. If you’re male those covers are profoundly offputting.